What with the weather deciding to skip autumn and go directly to winter without passing go, it’s been a cold and soggy few days in Cambridgeshire (and in Kent, where I was to be found at the weekend). Not very inspiring…sigh. I’ve had a stack of work to do for Proper Job A (I never have to do any ‘homework’ for Proper Job B – it’s not that kind of gig, LOL). And this week is just as busy as last week – or perhaps a bit worse! sent two poems out for scrutiny (oh please be kind judges/editors!). One is called Colleagues and was submitted for the Writers’ News ‘Generation Gap’ theme competition. The other, Dining Room, has been submitted to Prima because I thought it was right up their street; a poem about family and what brings us together. I wrote the original for the first part of my Diploma, but it underwent a fairly drastic rewrite before I sent it off. Fingers crossed. Anyone know if and when Prima let you know if your poetry has been accepted? Is it like the Wise Words column – you only find out when you get the cheque and/or see your work in the magazine, LOL? 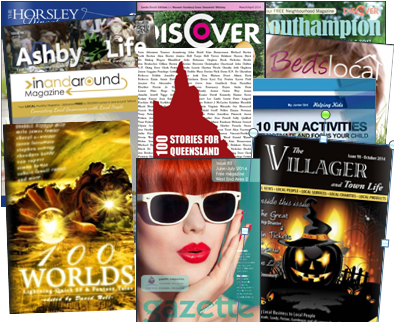 I’ve also just requested a writers’ pack from Take A Break, because I’m keen to submit to TAB and Fiction Feast – I may also have a go at The Weekly News, too. Er…well, that will be when instead of writing things you want to write, and/or that have a remote chance of earning you the price of a coffee (Asda’s own, mind, not Starbucks – let’s not aim tooo high), you find yourself writing other stuff. Like red scrawls all over the Equality and Diversity policy for work, which make me realise that shortly I’ll need to grit my teeth and rewrite it, because the red scrawls now outnumber the sections of original unmolested text. Ignore me. I am in a whiny mood because I have a cold, the printer broke down and we had to by a new one, I’ve been trying to complete my tax return, and the house looks positively post-apocalyptic (or should that be negatively?). Plus, an editor I contacted about a local history article hasn’t got back to me yet (and here in Negativity Land, where as you can tell I am currently residing, I believe she probably Never Will Because I Am Not Worthy). Oh and I’ve invited my Mum to stay for a while, which is fine except that it will mean vacating my study (and when I say vacating, I mean there will have to be a new home found for at least one desk, and all my gear). Just thinking about all that untamed paper is making me shiver with dread. Or perhaps that’s just the Evil Germs of Doom. Sniff. Whine. Did I mention I had a cold, LOL?! Bah, Humbug! I don’t like this week. Unexpected events are eating into my time, and everything has taken longer than planned (or gone wrong/broken down/fallen over etc!). I’ve got lots of ‘take-home’ work to do for my main Proper Job, plus I’m now working extra hours (why oh why did I say yes!) So now I don’t get a day off this week. Not to mention the fact that I still haven’t completed my tax return (or last year’s Aug-Dec final figures that need to be done first). Gulp. I know the deadline approacheth apace…sigh. The main printer at home has gone bonkers, so with that and the bizarre ‘thou shalt be a complete jellybrain’ curse that I’ve been under for days, it took me a while this morning to polish and finally print my poem, ‘Colleagues’. If you’re aware of 100 Stories for Haiti, put together by Greg McQueen, you might be interested to know there’s a similar collection coming out to raise funds for the Red Cross Pakistan Floods Appeal. There are more details here(and I’ve popped the link in my blogroll). 50 Stories For Pakistan will be a book of 50 (you’d never have guessed!) stories of varying genres by a whole host of writers, with a max word count of 500 – and of course no violence, destruction, death etc. I started rewriting a short story I wrote a couple of years ago, which I’m going to send – I’m sure there will be lots of submissions, so we’ll see how that goes. It would be great to donate a story to something so worthwhile. If you want to donate directly to the appeal right now, the link in the sidebar over there > will take you straight to the donation page. Once thing’s for sure – their problems make mine seem pretty insignificant. I’ll stop whinging. OK, it wasn’t exactly the man from Del Monte, it was whoever it is that looks at the submissions for the WiseWords page in Prima. So now I have proof for myself that, as other writers have commented, you never know you’ve been published in WiseWords until you receive the cheque (no letter, just a sheet with in-house codes and a cheque attached at the bottom!). Right, need to go and finish a poem for a Writers’ News competition – it has to be posted tomorrow. I never really think of myself as a poet – but of the two poetry comps I’ve entered, one was tiny with no shortlist or even runner-up, the other was a standard Writing Magazine competition and I made the short-list. So I must sometimes have it in me to Rite a decent Rime 😉 – I’ll give it a go. It seems I’m about to find out because today a somewhat wet and bedraggled DHL driver delivered a bundle of joy to my door (lucky that I wasn’t Proper Jobbing today). Yay! It was my OU course materials for A363 Advanced Creative Writing. It turned up at the ideal time, as I needed a break from the computer and wanted something to read with a cuppa before picking up Constructo Boy from school. So I settled down for a read on a sunlounger (upright). Don’t get excited, it wasn’t outdoors. It’s lurking near the patio doors in the vain hope of being allowed out of them again, looking uncannily like a dog desperate for walkies! This was only after I’d reassured the DHL driver that no, I didn’t want him to hand me the sodden mass that was Arty Daughter’s newspapers (bundled in plastic, thank goodness). I tried to explain that she could shake them off later when she got back, but bless him, I don’t think his English was up to it so he just looked at them, rather bewildered, and walked away. I have to write screen adaptions and plays. I have never done this before. I’m sure it will be fine.